Our next activity will be a brunch! It will take place at the “Living Room Bar & Kitchen” inside the Hotel de La Paix which is in front of the lake just a few minutes away from the train station. The Protected content is a nice restaurant with a hype and cosy vibe with a stunning view over the lake. If you want a cosy brunch with yummy food don’t hesitate to sign up. It will be the occasion to meet and chat over some nice food and discover a new place in Geneva. 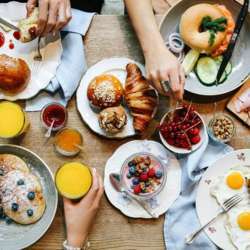 Brunch is 52CHF and includes 2 courses of your choice from the menu, hot beverages (as many as you wish) and orange or grapefruit juice. Please remember to sign up only if you are sure of coming.